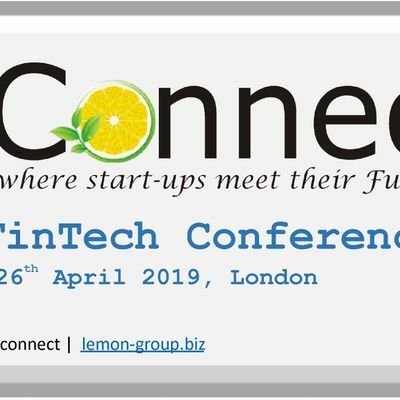 “Lemon Advisors UK will hold “Lemon.Connect”, a four-day fintech event on 23-26 April 2019, bringing 100 FinTech companies from over 13 countries to London. The programme provides the visiting fintech companies with an opportunity to meet investors, raise funds and meet with potential customers and partners. They will also have a chance to explore additional opportunities in the UK through meetings with Tech Nation for the Exceptional Talent Visas, with the DIT officials for the "Global Entrepreneurship Programme" ,as well as with the senior officials from the UK government, in addition to a host of representatives from the Banking and Financial Sector. Day 1 - 23rd April 2019 : NatWest Accelerator. 40 Islington High Street. London. N1 8EQ.